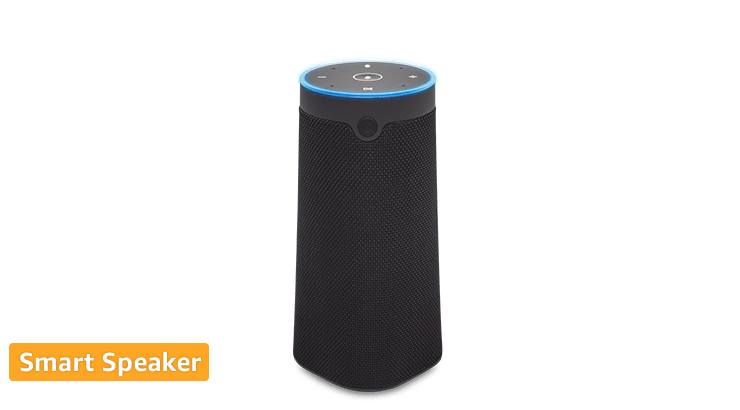 Original Design Manufacturers (ODMs) provide device manufacturers an accelerated path to launching products with pre-tested white-box solutions and form factor reference designs that have Alexa built-in. These qualified solutions are close to end products in design, functionality, and hands-free Alexa voice performance. 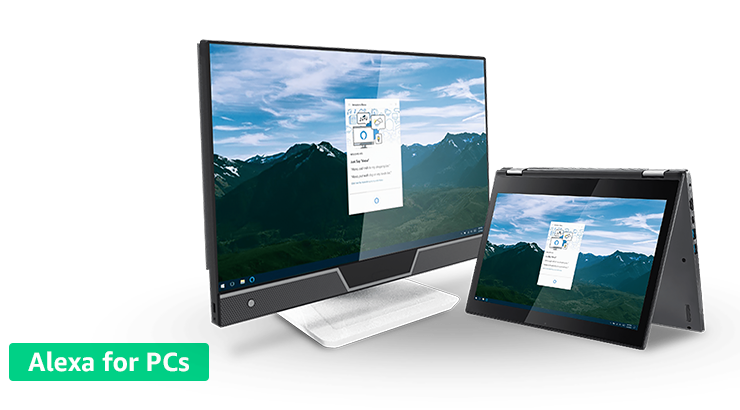 Wistron has two Windows 10 Alexa for PC solutions. The Prince X all-in-one desktop features a 27” UHD display and an FHD webcam with IR sensor. 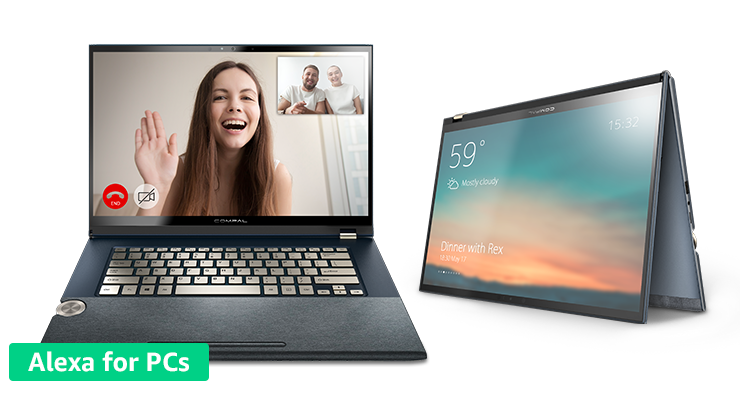 Wistron’s convertible notebook is designed for the smart office, featuring a 15.6” FHD display with touch, and an HD webcam. Both are optimized for a hands-free Alexa experience with four MEMs microphones, and two stereo speakers. 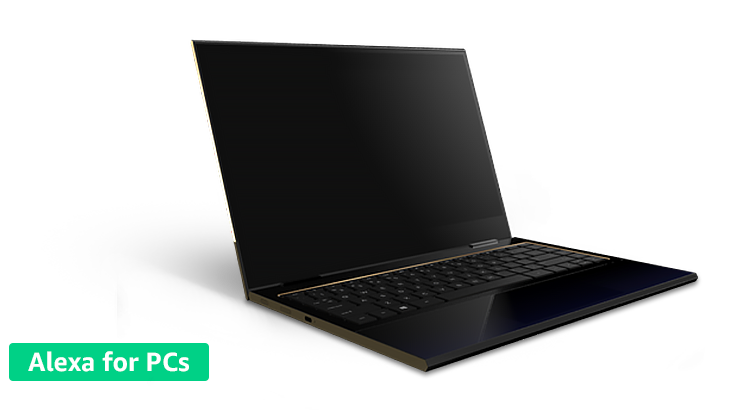 Compal’s DDX10 is a Windows 10 convertible notebook with Alexa built-in that's designed for gaming and multimedia use. It features a 15.6” FHD display with touch, 13 hours of battery life, fingerprint security, IR camera, productivity quick-turn knob, and stylus. Four digital microphones, and two 2W speakers are integrated for a hands-free Alexa experience. Quanta’s MD11 is a Windows 10 convertible notebook with Alexa built-in. The solution features a 14” FHD display, 18 hours of battery life, and fingerprint reader – making it suitable for the road-warrior. Four digital microphones and two 2W speakers make hands-free voice interaction with Alexa part of the design. The Calix GigaSpire MAX is designed for communications service providers wanting to provide their customers with a smart residential gateway. 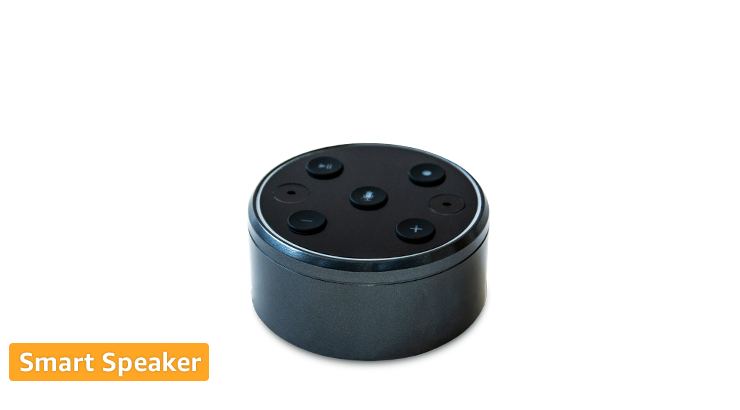 The device has Alexa built-in, supported by a 3-mic array and a 5W speaker. The Calix GigaSpire MAX is a Wi-Fi mesh enhanced-router that extends the network into the home with security; and support for smart home protocols Bluetooth, Zigbee, and Z-Wave. The Gemtek ViTA Smart Controller is designed for voice-controlling IoT devices in the home, such as door sensors, lights, blinds, and security cameras. Its Alexa built-in integration is supported by a 4-mic array and bass extended sound. 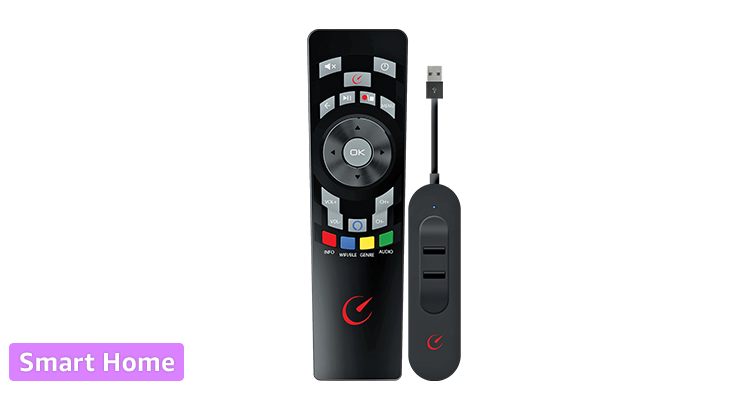 The device features up to 10G broadband, and compatibility with a wide range of connectivity protocols including LTE, Zigbee, Bluetooth, and Wi-Fi. 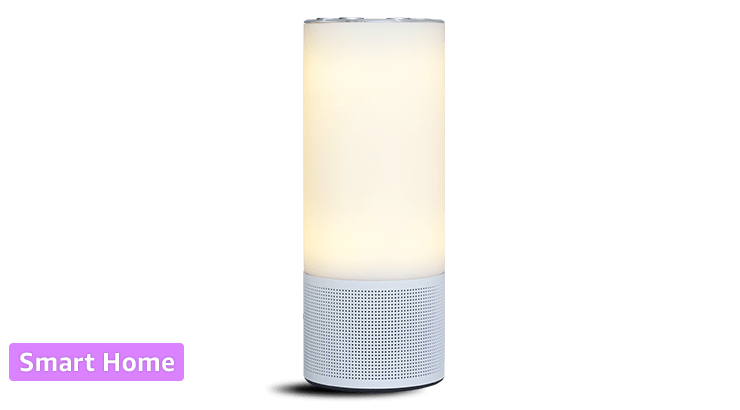 This LED lamp delivers soft lighting with dimming support and doubles as a smart speaker with Alexa built-in. The solution includes a 2-mic voice capture system, Wi-Fi and Bluetooth connectivity, and support for multiple music services. It has button controls, a light ring, two 3W speakers, and a USB port for charging. The Adition Lamp Speaker stands 220mm tall with an 85mm diameter. 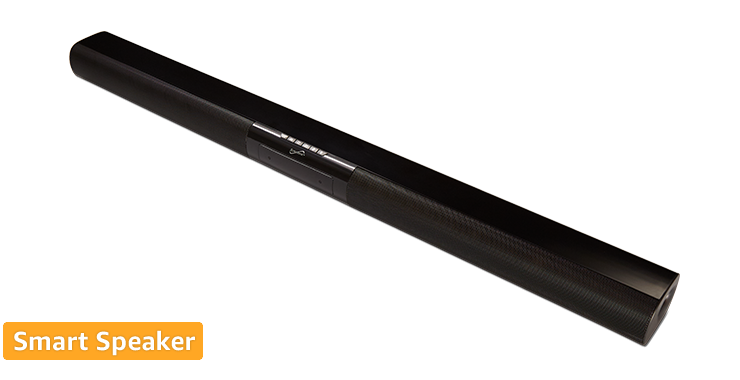 The CAW-70040 is a sleek 940x90x62mm soundbar, for use with TVs. It has both Bluetooth & Wi-Fi functionality, with a Bluetooth range up to 32 feet. It connects to a TV with the line-in jack and it has a built-in high powered speaker system (4x10W full range). The CAW- 70040 supports multiple music services. Adition's Socket Speaker plugs directly into EU, UK, and shaver sockets, without the need for a power adapter. It is 84mm in diameter and sits 55mm deep when plugged into a socket. 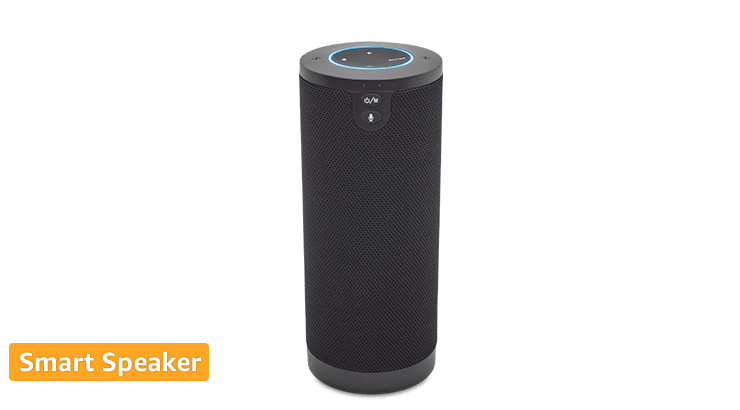 The Alexa built-in device features a 2-mic voice capture solution, Wi-Fi and Bluetooth connectivity, a 2W speaker, and support for multiple music services. Adition's Alexa built-in radio uses a 2-mic voice capture solution. It has digital audio broadcasting (DAB) functionality, a 5W speaker, Wi-Fi and Bluetooth connectivity, and support for multiple music services. The device is 182mm tall with an OLED display and buttons to navigate user options. 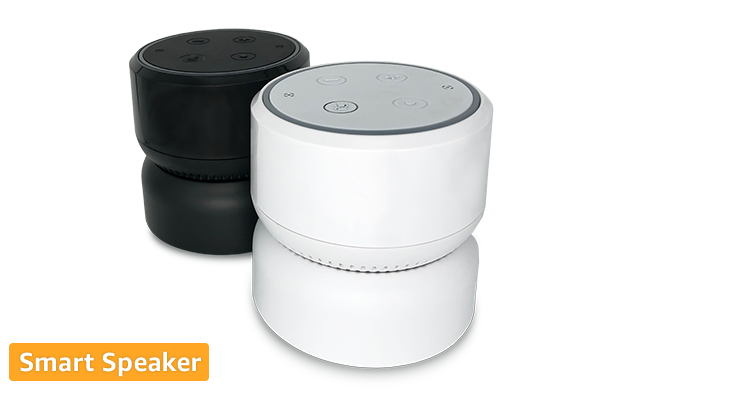 Compact and portable, this 82mm tall Alexa built-in smart speaker features a 2-mic voice capture solution, a 2W speaker, Bluetooth and Wi-Fi connectivity, and digital volume control. It has a built-in rechargeable battery with approximately five hours of play time and an optional charging dock. The CAW-19230 supports multiple music services. Wistron’s NUT is a white-box smart speaker with Alexa built-in, featuring a 4-mic voice capture solution, a 3W mono speaker, and Wi-Fi and Bluetooth connectivity in a compact form factor that stands 45mm tall. It supports multiple music services, FM radio, and can run battery-operated for up to five hours. 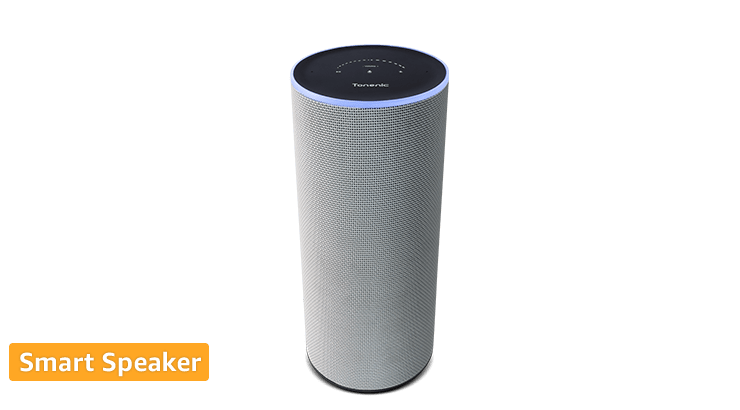 Tonly’s Tonenic T8C is a form factor reference design for a 2-mic smart speaker with Alexa built-in that delivers rich sound from four 5W speakers. 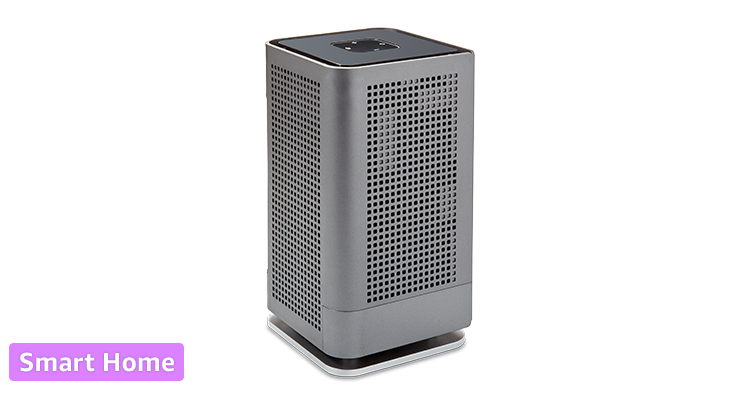 It is in a popular tabletop form factor that stands 260mm tall, with option to change the final industrial design and features. The solution supports several music services, as well as Wi-Fi and Bluetooth connectivity. Narui’s M120 is a white-box smart speaker with Alexa built-in. It features a 2-mic voice capture solution, two 3W speakers, and five buttons surrounded by an LED ring for touch control and visual indicators. The product stands 200mm tall. The M120 supports multiple music services, Wi-Fi and Bluetooth connectivity, and can be battery-operated for up to six hours. 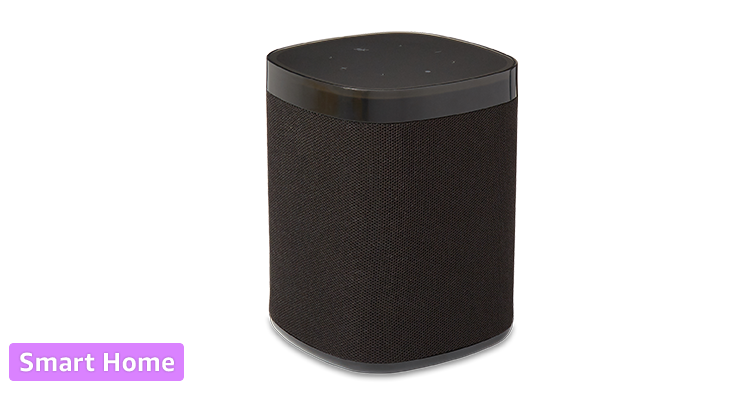 JUNLAM’s CAW-18057 is a 195mm tall smart speaker with Alexa built-in featuring a 2-mic voice capture solution, a 5W speaker, Bluetooth and Wi-Fi connectivity, and digital volume control. It has a built-in rechargeable battery with approximately five hours of play time, and comes with a USB port and cable for charging. The CAW-18057 supports multiple music services. The Sirena Vood is a smart portable speaker with Alexa built-in. 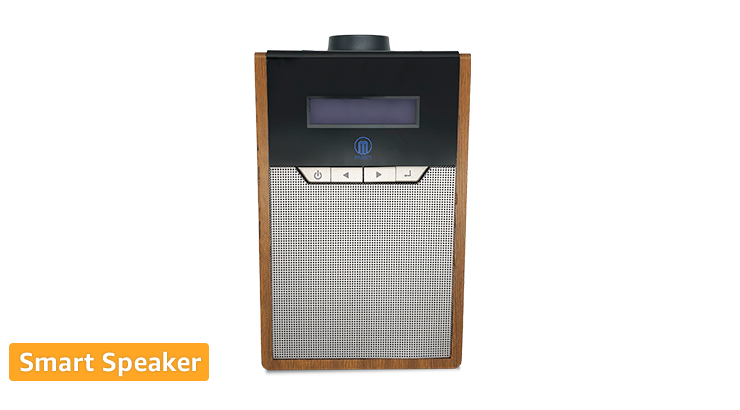 The speaker supports several music services as well as Wi-Fi and Bluetooth connectivity. The solution has two mics that ensure far-field voice pickup, and a 2W speaker – and yet is only 40mm high and 60mm in diameter. 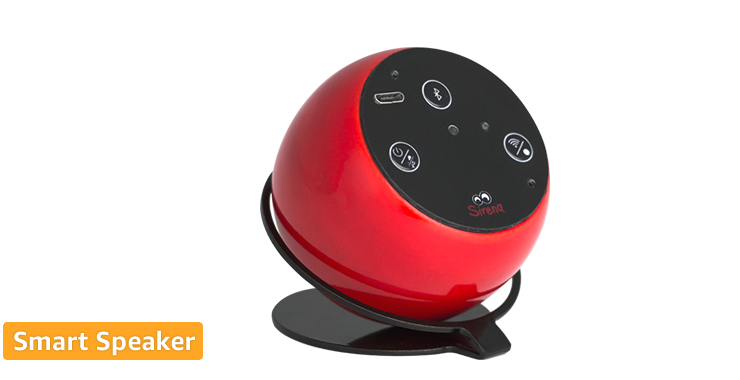 The Sirena Vood offers up to six hours of continuous audio streaming, and two days of standby battery. 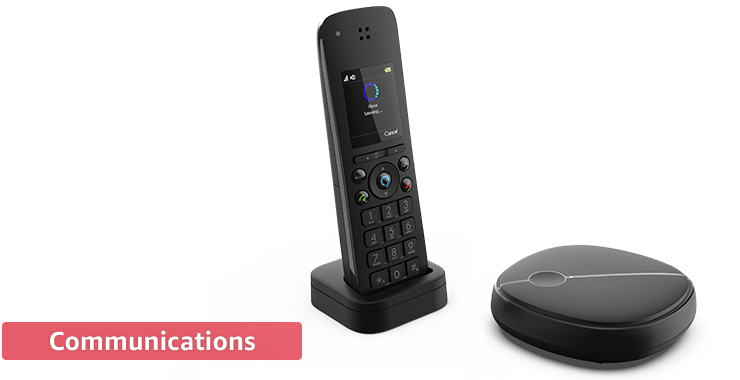 The Mono wireless home telephone with Alexa built-in adopts a distributed architecture using DECT wireless technology for communication between the handset and the base, which connects to a landline and the internet. Alexa functionality can be activated with the dedicated Alexa key on the handset, and includes Alexa Calling and Messaging, Alexa to Alexa calling, outbound Drop In, and Announcements. Experience Amazon Alexa on your Set Top Box (STB) with "MyBox Kit for Alexa". 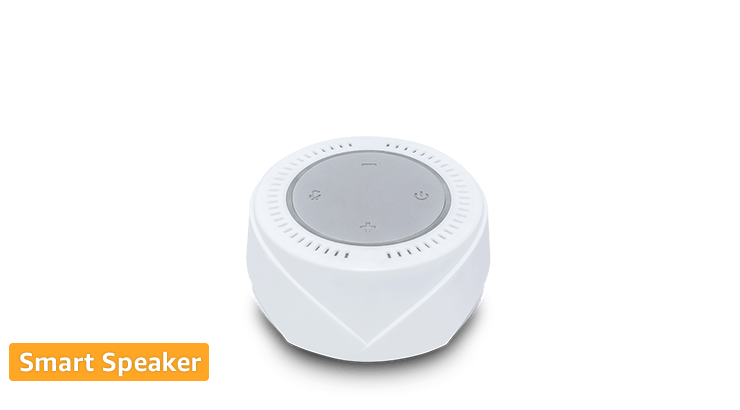 It consists of a USB hub (supported with Wi-Fi and BLE dongle) and a voice-enabled Bluetooth remote which will connect to your existing STB to make it Alexa enabled. Development Kits for AVS are reference solutions for creating devices with Alexa built-in. They include voice processing hardware and client software, helping you easily build voice-forward products while reducing cost and accelerating the integration process. Amazon works with select Systems Integrators (SIs) to help commercial device manufacturers bring new devices with Alexa built-in to market. The Systems Integrators provide hardware modules, software, and services that accelerate the implementation, delivery, and support of devices with Alexa built-in.